Hey, my name is Georgie and reading books is my greatest passion. I read all kinds of books and I would really like it if you'd ask me to read and review a book you love or have heard of. I just finished it and I don't even know where to start. This book is AMAZING- it's got everything in it- suspense, heartache, humour and romance. This book kept me theorizing and panicking until the very last page as well as wanting more. Justine did a wonderful job with the characters- I felt like I knew each one of them (even though it was only told from Che's POV)- the characters were all unique and different from each other, all had deep personalities and intriguing backgrounds. To be honest I'm just speechless- this book in my opinion is a must- read to everyone, no matter if it is your least favourite genre- you are going to rip through this book. Justine's writing is incredible- she gave me the feels and I was seriously involved. The plot twists were mind- shattering and I had my mouth awkwardly gaping in public numerous times. I'm probably not doing this book any justice- just read it and trust me you won't be sorry. 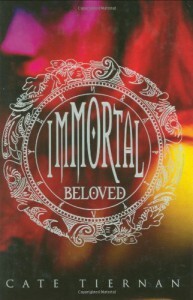 Don't get me wrong, it is not a bad book- Heavenlight's story is fascinating, and Shan Sa's writing is extremely unique. you can definitely tell, when you're reading the book, that it was written by a very skilled poet (which she is), and that a lot of thought, work and research was put into the process of writing it. the descriptions are amazing, and you can almost paint a completely accurate picture in your head of China in the 7th century, which is not an easy feat. It was at times nerve- wracking, poignant and sensual. 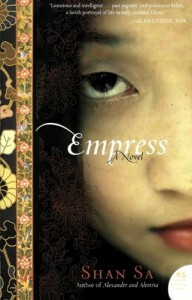 Shan Sa explained the main character so well, that I was fond of her, even though I didn't like everything she had done. I think it is such a special book, because she took a story of a woman worth- knowing, and made it accessible to readers. However, I have to mention that it took me so long to read because even though it was interesting, there was almost no dialog AT ALL, and most of it was descriptions, which made it a very slow and tiring read. It took me a while to get back into it after each time that I picked the book up, and also between reading sessions- It didn't make itch to get to the next chapter. Anyway, read it and let me know what YOU think! I gave this amazing book 4 stars, which is great, but it might deserve more (I just can't help comparing it to the second book, A Court of Mist and Fury). This book was very fast paced and interesting- grabbed me right from the beginning. I would have liked for Feyre to stay a little longer in the Spring court, just to see as more things play out and relationships tested, but I was happy with it nonetheless. This was a pretty chunky book- 699 pages, but I found myself having to FORCE myself to put it down- I could've easily breezed through it in three days, but I really wanted to savour it, seeing as it was so good and only returning in 2018 (hysterical sobbing). A normal book would usually have one or two plot twists, and a Sarah J. Maas book would usually have like ten. THIS BOOK. she really outdid herself with this book. there were SO MANY plot twist, but written brilliantly so that you didn't get lost or confused- but even if you were confused, it was good frustration- frustration that keeps you on your tows for the entirety of the book. other than these little problems, this book was amazing and entrancing and everything a book should be- we got to know the side characters a little more, which I felt really added to the story and the world building. Sarah did a fantastic job at the end- just like with plot twists, she doesn't leave us with only one cliffhanger, but like a dozen- there are so many things that I'm just itching to see unravel- so many unresolved feelings, and lied, and conflicts and just wow. I gave this book 3.5 stars because it was a cute book- the kind you can read during a reading slump not because it was terrific, but because it was very light and didn't really demand your complete attention. things I liked- the book was very humorous and fun, you loved to hate some of the characters in this story, while still managing to feel bad for them as the story unraveled. Though we didn't really get to know each of the characters in depth (understandable, seeing as this is a pretty short book), they were all likable (not in the sense of who they WERE, but in the sense of how they were portrayed). things I disliked- the ending felt a little sudden and unresolved to me (though I suppose this might be the way these things really happen in reality) but my main problem was the romance- on one hand, I understood it was a little vague because the focus is on the child's relationship with his nanny, but still- I mean, we didn't even get his NAME. I didn't understand how this relationship came to be, and while I get the main point, I think these gaps in the story did more harm than good- there could have been other ways to relay the message. to cut it short- I think the hype for this book was misleading. There were two 'major' plot twists in this book- the first one I had already figured out BEFORE the first half, and the second one I didn't really see coming, but still for some reason didn't seem very shocking or exhilarating. I had some problems with the main character- Amani. She had flaws that might have made her more realistic, but also made her annoying for me and after she did the things she did (no spoilers), she felt bad about it, said she wouldn't do it again, but then after a while she did the SAME thing again- this repeated itself like three times or something. I wanted her to have to face her friend, but that didn't happen- disappointing, but maybe in the next book? I felt like the Author didn't delve too deep into Jin's character, which I would have liked- when Jin explained his actions throughout the last two or three months, it was only a few lines and I feel like a lot of important details had been left out. I wanted to have more depth to his character because I think he has some potential and also because it would have helped me understand him and Amani as a pair- I felt like it wasn't really based on anything and was rushed, which confused me a little bit. On a different note, I really liked all of the side characters- Shazad (though again, hers and Amani's friendship was sudden and wasn't really detailed in the book) was a great female character- she was strong, capable, independent and a warrior in her own right. Bahi was cute and funny and an altogether important, optimistic and light-hearted character in the midst of war. Again, wished we could've got more information about him. Noorsham was also a character with a lot of potential, and I actually felt as if I got more details about his character than Jin's. I really liked his background and how it has affected him in the long run- Ironically I felt like he was the most explained and deep character in this book. 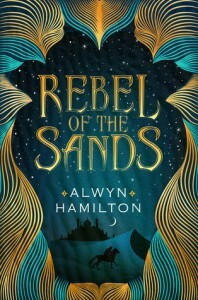 to sum this book up, it felt like we only got to read and understand the tip of the iceberg, and maybe the whole character-and-world-building would be better in the next book, but I'm not sure I'm intrigued enough to buy it and find out. Oh god. This book. this book had everything I didn't know I need. It got me hyperventilating, laughing, ranting, fanning myself (yes to the steamy scenes!) and on the brink of tears. I am so emotionally invested in this book I'm having a really hard time not giving away any spoilers (don't worry this IS a spoiler-free review). okay so the book picks up after the events of the first book in the series- A Court of Thorns and Roses, Feyre and Tamlin are back in the spring court and all is well. Sort of. I'm walking on really thin ice right now with the spoilers but let's just say that we see a definite change in the nature of Feyre and Tamlin's relationship following the events of Under The Mountain with Amarantha- both Tamlin and Feyre are (obviously) affected by their time there, and this causes changes in behaviour, while some more drastic than others. -Which kind of brings me to my main problem with this book. 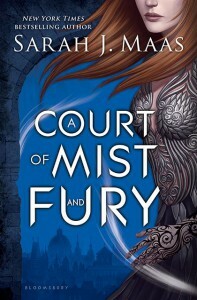 I felt like the change in Tamlin's behaviour was too abrupt and too severe (and perhaps a little forced), but as I read on, and also talked to other readers about it, I'd realized all the hints for that development were already in the first book (which makes me want to go back and re-read the first book to really understand in depth events that happened and became clearer with the serious plot twists that occur in ACOMAF), which, once again, comes to prove what a genius Sarah J. Maas is. The world building in this book continues to be beautiful and vivid. We are introduced to new characters and places we never knew even existed before, the plot is well-thought-out. 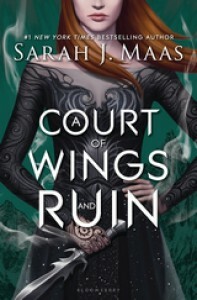 A new threat comes out to play, and Feyre's character takes on new challenges, she develops and unravels in a very realistic way as she struggles with the aftermath of ACOTAR, her newly-found powers and her heart. we get to see more of her sisters, Elaine and Nesta, and are left wanting more. another character that we got to know more (much more) is Rhysand. It's very easy to fall in love with his character, his wit, his friends and his will to survive and protect his loved ones. The only problem I had with him is the same problem I had with Tamlin, only in reverse. And that is ALL I'm going to say about that. other than that, I absolutely loved him and loved learning more about his past, and especially his past with Tamlin. and his body. Duh. I'm scared to say any more that might spoil you, but PLEASE if you are wary of the hype and not sure if to pick it up- pick it up! honestly, I had found myself disappointed by over-hyped books, but trust me on this one and TRUST THE HYPE! Read it, and let me know what YOU think! Update- I actually DID end up reading the first book again, and if you felt like me then I DO recommend that you'd do the same- it cleared a lot of things up for me, and with this new point of view of Tamlin, the book and the relationships in it really transform. Also, I don't remember if I'd said it before, but I think it's really fitting that Sarah has written it the that she did, because I feel like this is how most of these relationships start- out of nowhere, and the nature of the relationship only dawns on you after a while or after someone else points it out to you (like Rhys did). *sigh*. Well, it is true that most of the second books are not as good as the first, and sadly, this is an example for one of those books. Now, don't get me wrong, it WAS a good book and I enjoyed the plot, but I think it would have been much better if it was shorter. This book has almost a THOUSAND pages (!) and honestly, I think it wasn't necessary at all. While the first book was also a large book, it was because of important details or just things that were needed to set the feeling of the story. 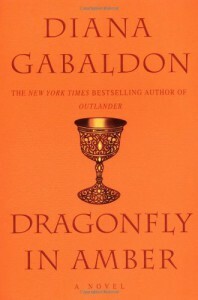 I think Dragonfly In Amber had too many political details that got me a bit confused and made the book very slow. apart from all of that, I did enjoy reading about Jamie, Claire and Murtagh in a different scenery that definitely helped us learn more about them and their character. It was interesting to see how our couple would cope with some of the thongs that had happened to them, and I loved how realistic their reactions were. I don't know if I'll continue the series, but I think I'll give it the benefit of the doubt and read the third book as well! I usually shy away from authors that get a lot of buzz (John Green, Rainbow Rowell, etc.) because I often feel they're overrated. 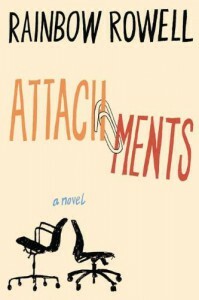 I have already tried reading one of Rainbow Rowell's books- Eleanor and Park and I couldn't get into it, but Attachments was on my TBR, and I've heard lots of good things about it, so I picked it up and I'm so happy that I did! most 'coming of age' stories we read about feature teenagers trying to invent themselves and find themselves in this big world... Rainbow Rowell did a fantastic job of proving that it is never too late to wake up, reinvent yourself and go after your dreams! At first I was worried that I would think of the main character as a slob spoiled child that still lives with his mother and has no ambitions. What happened was quite the opposite, actually- I found myself rooting for him as he cautiously took steps to get out of his bubble and take charge of his life. He got over some things and he did it by himself (though with a little nudge in the right direction), which I appreciated. I gave this 4 stars because of the great writing and incredible character development. I took a star off (actually being generous) because some things (no spoilers!) seemed really unrealistic and out of place. all in all, it was a cute read and I would recommend it! I had to read this book for school this summer, and while all my friend moaned and complained, I read this book in a day and found myself actually liking it. It was mostly a sad read, but with a frankness that was as refreshing as it was shocking, and an unapologetic point of view that only a kid that lives in chaos can express. sometimes it was a bit repetitive, but I guess that is because the story is told by a child. 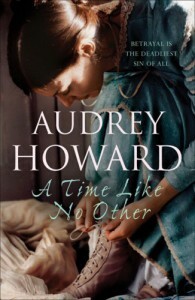 While for some readers it can be a flat, boring book, those who look deeper can see the aftermath of the holocaust, the struggles of a prostitute's child's life in France, the Islamic's fight to fit into society and the devastating reality of a child who is trapped in all of that. This book's characters are strong ones. they rose from the ashes after everything life's thrown their way. They each cope in a different way, and still find the place in their heart for love, loyalty and hope. I didn't LOVE the writing itself, and not much happened actually, which is why I gave this 3.5 stars, but nevertheless, I think it's a great book for anyone to read (I would rate this 13+ maybe, because of drugs and prostitutes, but nothing major happened concerning THEM, the end of the book however, is very sad and,,, shocking, so you really should decide for yourselves. I really liked this book. I liked the main character, her friends and how could I not- the love interest. I didn't really liked the world- building because it took me a while to understand because the explanations were only at the end of the book and even now I am left with some questions. I really like in books when the romance isn't immediate and it is slowly built. I think it makes much better and richer. this book was no different and I really liked the main couple. and OH MY GOD the plot twist at the end. when I say end I don't mean the last chapter like regular books. I mean last sentence plot twist. seriously. WHAT. It left me slightly panicking and definitely hungry for more. 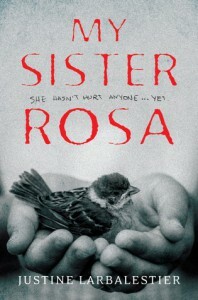 I also liked that (although I didn't really realize it until the end) Mary Weber put the element of self- harm into her book, she wrote it in a way that we, the readers, didn't really understand what it really was about, we got used to it and then in the end when we understood I was like DAMN. many 'classics' are really not worth the read. 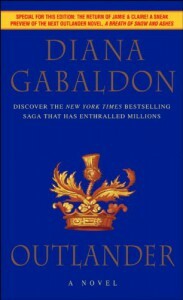 Outlander might be a HUGE book and quite the commitment, but it was definitely worth it. It's no secret that it is a big book, but I swear time flew by way too quickly when I read it. I had some problems with some of the elements in the book, but I had to keep reminding myself that this was the era of the book. I love the world building and I completely fell for Jamie- I recommend watching the new TV series while reading the books, it was really lots of fun. I would say this suits 16+ or 17+ (violence and sexual themes) but it all depends on what you like reading. 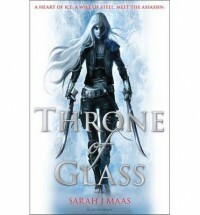 If you are a human being, and you still haven't read Throne Of Glass then what the hell is wrong with you?! I usually don't like reading books that were reviewed a million times like TFIOS because I kind of get the feeling that they're cheap and overrated. But holy mother of god- this book was spectacular. Sorry for the excessive use of OMGs, but this book definitely deserves the drama that surrounds it. I'm at a total loss for words. just trust me, and read it. This book has everything good a book needs. a strong female main character, a not-sappy-at-all love triangle, action, awesome world building, drama, amazing characters, humor, mind blowing plot twists. I don't even know how to explain why this book is so good. She's an assassin. Is this not good enough for you? just trust me and go read this book. You'll thank me later. go. now. shoo. although I have heard many great reviews about this book (and series) it took me a long time to actually get the book and start to read it. I'm truly sorry it took me so long. 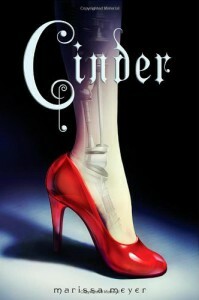 Cinder was better than I could have imagined. I'm not really into cyborgs and THIS kind of futuristic literature, but it was different. Although there were many androids and cyborgs and stuff like that, it wasn't like they were incapable-of-love-robots. they were very human and I love the characters. I got sucked into the story 3 pages in, and I actually almost failed a test in school because I couldn't bring myself to put the book down and study! Marissa is a great author, and she combined many romantic moments, funny moments, nerve-wracking moments and plot twists that made me aww, LOL, scream and awkwardly gape in public. 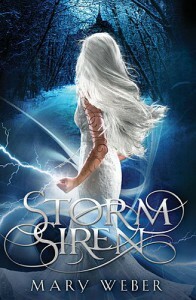 this book was fantastic and I can't wait to get my hands on the next book in the series. Read it, and let me know what YOU think!! This book was given to me for my birthday. I heard a lot of controversial review about this book, and I definitely side with the positive ones! 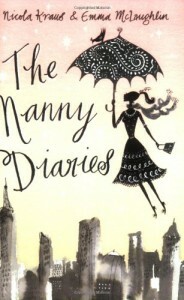 this book was hilarious, cute, interesting and at one point (for me) very emotional. Harriet was very easy to relate to in many ways, and even for those who don't have anything in common with her, she is still very easy to sympathize with. this book was filled with fashion, interesting facts, romance, family and friendship- everything you could possibly want in a book. 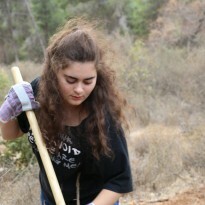 Harriet's character was very believable in the sense that she wasn't perfect at all. she made some stupid mistakes, and admitted her flaws- which I think is admirable. 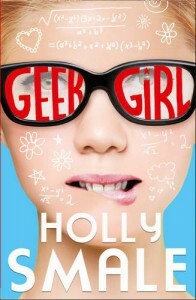 I really recommenced this book to everyone and especially to you geeks out there! I have to admit- I was a bit reluctant at first, and I think the biggest minus to this book is that the world building was very slow and unclear. Only in the middle of the book I felt that I understood the main character (Nastasia) enough to care what happened to her. It took a while and when I finally did- it was sudden, and beautiful. I immediately fell in love with her- she has so many layers, which made it harder to know her, but made me love her deeply, and much more than usual book characters. 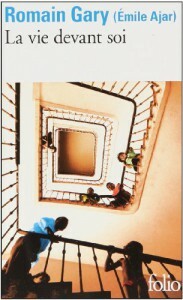 The plot was fast- paced, interesting and engrossing. the second half of the book, I just couldn't put it down. I literally read it whenever I could, even in the middle of a lesson at school! more than once in the middle of reading in class (which is why I hate publicly reading) I gasped dramatically, made strange frustrated noises, and had huge goofy oh-my-god-this-is-so-adorable smiles. I can really say I loved this book, but I had to give it 3.5 stars because of the beginning and the slow character and world building. I was a bit skeptical about this book, because I don't usually read Historical Romance (unless you count time-travel fanfics). I can honestly say that I was not disappointed at all! this book took a little time to read because life got in the way, but I thoroughly enjoyed it. I loved the characters, and even though sometimes I disagreed with the way they acted, every questionable action was analyzed and the emotions behind it were explained. I loved how I could hear the strong accent in my head when I read it, and that while she wrote how the words sounded, it wasn't too hard to understand, as it is with many other books. I loved how Lally was such a strong female character and that even in the hardest of times, when many would choose to give up on everything, she took matters into her own hands and wouldn't let anybody do the dirty work for her- I found it quite inspiring. Because it was a Historical Romance book, I was afraid it would be boring, slow paced and not much action going on- that was definitely not the case! the book was filled with wonderfully intricate twists, turns and conspiracies. Read it , and let me know what YOU think!